How Many Techniques Do You Know for Avoiding Deer/Car Collisions? 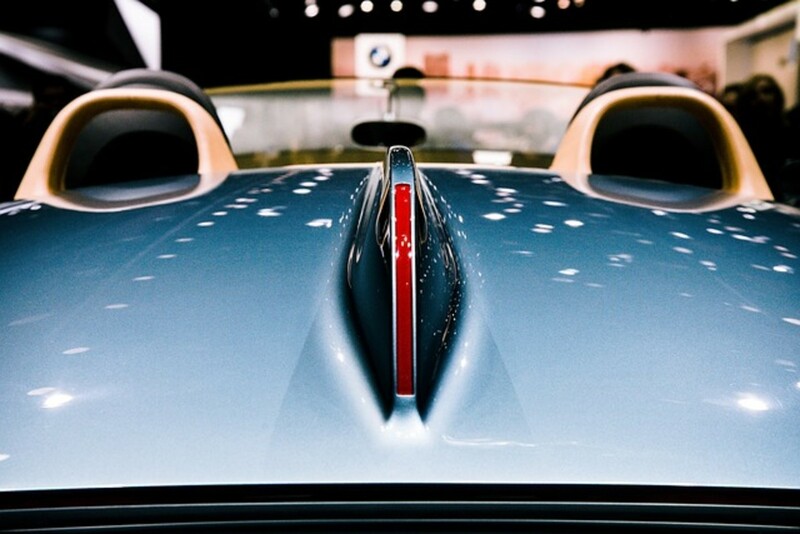 According to State Farm Insurance, over 1 million automobile/deer collisions occurred between 2011 and 2012. 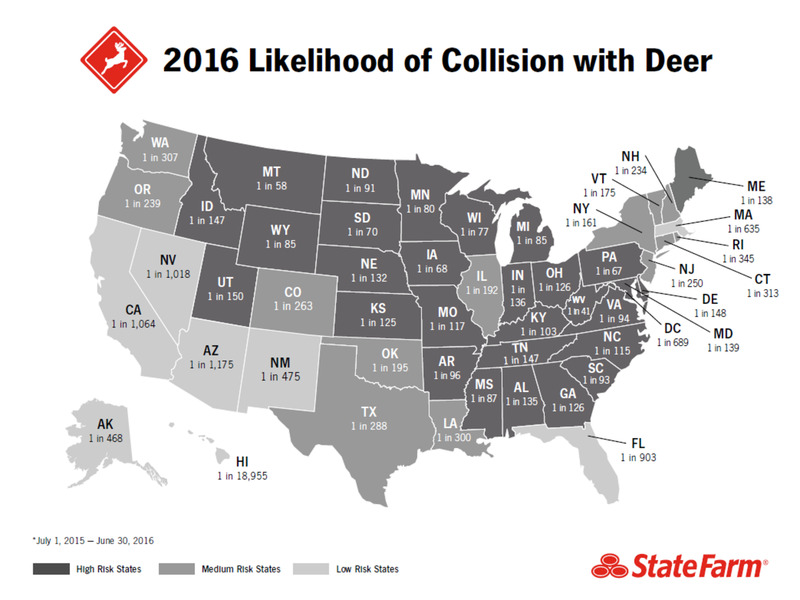 Deer/car collisions add up to 4 billion dollars annually, driving up insurance premiums and health care expenses due to injuries incurred. Worse yet, these accidents claim over 200 lives per year. You would think there would be more advice on how to avoid deer hits, wouldn’t you? 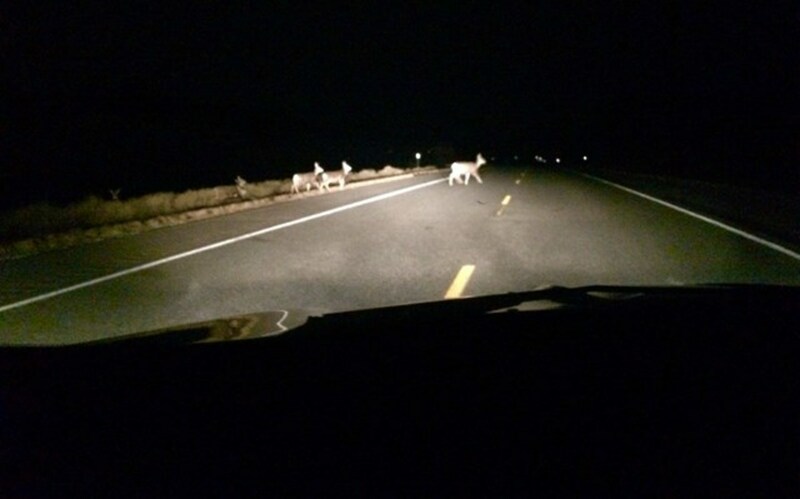 In my home state of Michigan, it isn’t a matter of “if” you’ve hit a deer, but rather how many. Just about everyone I know has been in an accident involving a deer. While possums, raccoons, and even squirrels present road risks, hitting a deer can total your car as well as take your life. Here are some tips to help make sure neither happens to you. I've had three deer/car collisions in 34 years of driving. Upon reading that you might be asking yourself, "Is this the right person to be telling us how to not hit a deer?" Let me validate my authority on this matter by saying you should see all the deer I've nearly hit! I've had ten times as many close encounters with deer as I've had actual collisions, and may I say, I have learned well from my mistakes. I write this in hopes of the possibility that you might as well. I would further say, in my defense, that one of the accidents actually consisted of the deer running into the side of my car! Since over 70% of deer/car collisions occur at night it makes sense to limit driving time to daylight hours whenever possible. The most dangerous time to drive is at night. Regardless of who hit whom, the fact of the matter, in my case, is that all three of my deer hits happened at night. 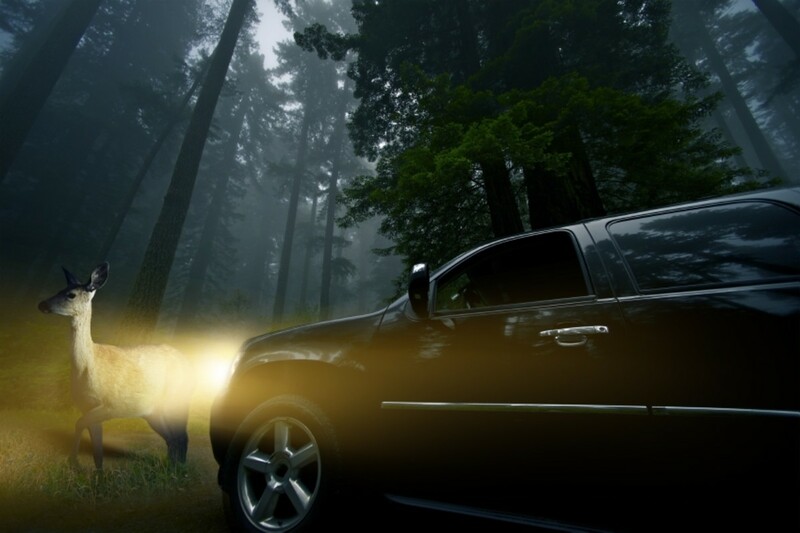 Lights from your radio, speedometer, track lights, etc., cause eye fatigue and glare inside the vehicle and reduce your visibility, thus increasing the likelihood of not seeing a deer wander or leap into your lane. There should be a knob that can dim the blinker switch, wiper switch, and so on. See manufacturers instructions to find your dimmer switch. Devices should be turned off as well. My children always enjoyed reading in the car. On vacation that meant turning on the overhead in the back seat and we all know how that light reduces our visibility on the road. My advice: turn them off. It's not worth the risk. If a device must be on for navigation purposes, it should be dimmed to its lowest possible setting while maintaining readability. 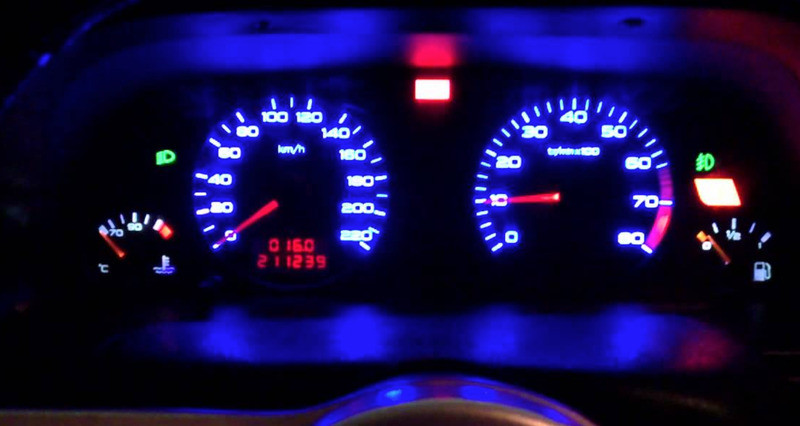 Dashboard lights cause eye strain and glare, and reduce road visibility Find your vehicle's dimmer switch to turn these lights down and note how much better you will see. 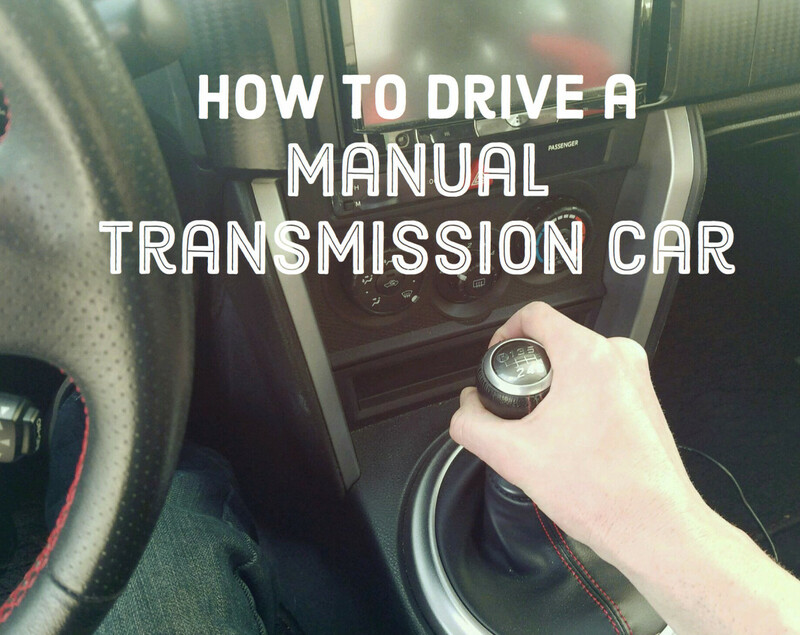 Find your vehicle's dimmer switch to turn down the dashboard lights. Your vision will be dramatically improved! Signs are often posted (like the one below) warning travelers of highly trafficked deer crossings. Should you see one of these reduce speed by 5-10 mph. "Deer crossing" signs mark high traffic areas for deer. 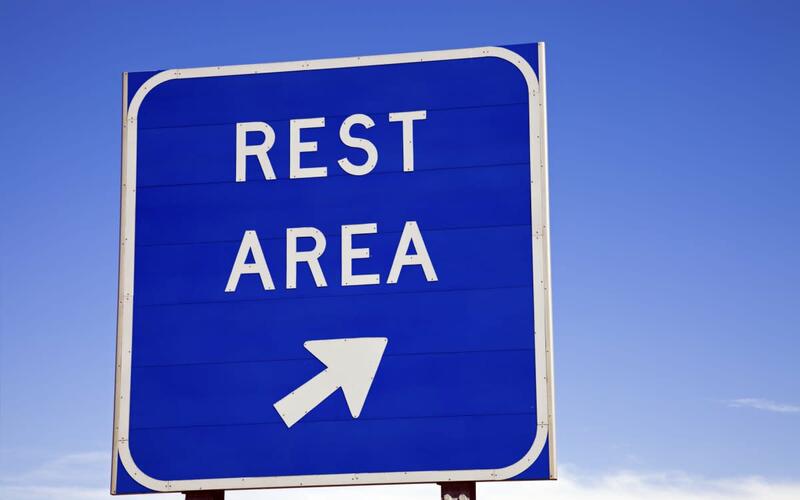 While these guidelines cannot be rigidly followed most states are very good about informing travelers of how much distance there is between rest areas and exits with food and shelter. Grab a caffeinated beverage, stretch your legs, and get back on the road. If you feel safe, take a short nap. Twenty minutes of shut-eye can rejuvenate your body and mind for the next leg of your journey. Catch a nap and a pop at a nice rest stop. Invest in a pair of night vision "glare reduction" glasses. These are not to be confused with the night vision goggles used by police and military forces. Glare reduction glasses, like these sold on Amazon, simply reduce glare. True night vision goggles enhance vision in limited light situations, meaning for night vision goggles to work while driving, one would have to turn off the headlights on the vehicle—which is not only illegal, but deadly. This is an especially dangerous situation because trees and shrubs provide cover to deer wandering into the road. In this situation it will appear as if the deer appeared out of nowhere when, in reality, had the foliage not been hiding the animal, you may have seen it much sooner. Reduce speed when on these roads and drive with your bright lights on whenever safely possible. 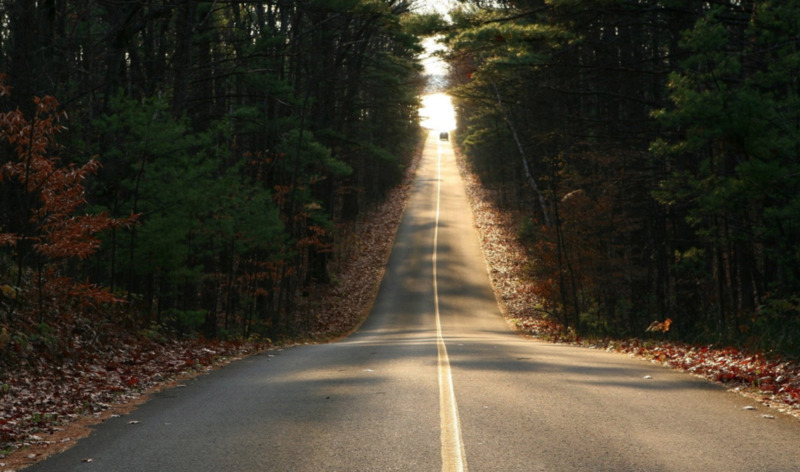 The closer the woodline comes to the road, the greater the chance of a deer/car collision. A white tail deer can run up to 40 mph and leap 12 feet in the air. If you see one standing beside the road, slow down immediately. They might have the classic "deer in the headlights" look, but they can turn on a dime and before you know it the two of you have collided. I once saw a deer running across a field toward the road where I was driving. I wasn't worried because it looked to be far enough away to pose no threat to me, plus there was a deep ditch between the field and the road. Boy, was I wrong. The deer covered the distance between us faster than I could've imagined, and with two bounding leaps it was on the road right in front of me. I narrowly missed it. The video below captures an incident all but identical to the one I just described from my personal experience. Please watch it and become a believer. Watch How Far and How Fast this Deer can Jump! Getting behind a bigger vehicle is a good idea if you are forced to drive during the evening. Semi-trucks usually drive slower, allowing you better reaction time if an animal should dart between you and the vehicle ahead of you. Semi's are also less likely to sustain life-threatening damage should they hit a deer. Regardless of the size of your vehicle, the average repair bill for a deer hit is $3,000; not to mention potential loss of life and limb. 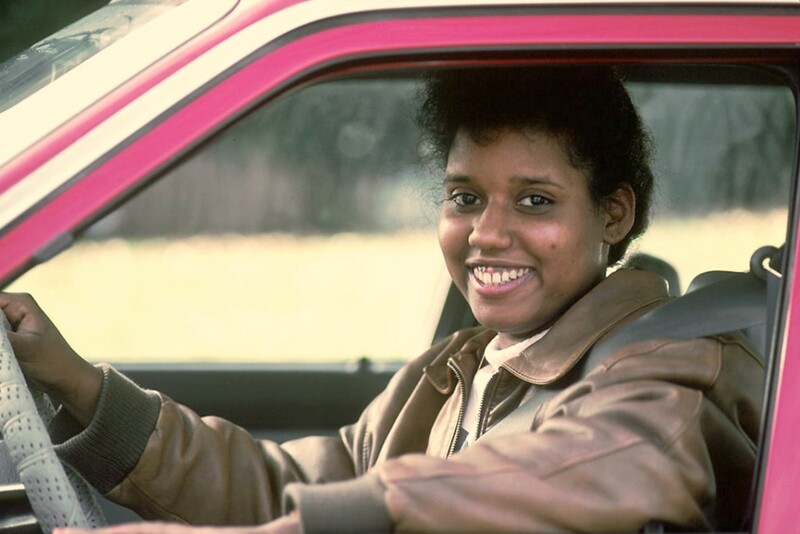 Be sure to leave three car lengths between you and the larger vehicle, and be sure to use your dim lights. Truckers tend to be friendly and not mind if you're drafting, but driving behind them with your brights on can cause glare in their side mirrors. Drive behind a semi at a safe distance. These are some of the tricks I've learned over the years. I hope you find them helpful. I've heard that Australia has the same problem with kangaroos that we have with deer. They've gone so far to install ramming poles called "roo bars" on the front of their vehicles. It sounds like a good idea. Hopefully safer driving techniques, like those listed in this article, will keep us safe in lieu of roo bars. It’s funny- growing up I lived in the country and never ran into an animal. As an adult I’ve had several near misses and some collisions as I said in the article. It’s a huge problem in Michigan and I think there are things that could be done to help. I think subsidizing farmers to leave at least 25 yards distance between their tall crops and the road would save lives and money. Anyway, thanks for reading and commenting. I’m glad it was helpful to you. Thank you for this informative and enlightening hub. So very helpful. Thank goodness I've never hit an animal and I live in the mountains where they run wild. Yikes!! Memories of my run-ins with Rudolf....or more precisely, their run-ins with me! It's happened to me twice only. I say, "Only," because given the fact that I've been driving 54 years & also that I travel in a largely rural area.....that's not really bad. The damage wasn't pretty but what I remember the most is how I was more concerned that the animal was not seriously injured. I did see them run off into the woods & just hoped they would be OK.
You give some great tips that can apply to all road users regardless of deer being nearby. I shall be looking for my dimmer switch next time I am in the car. 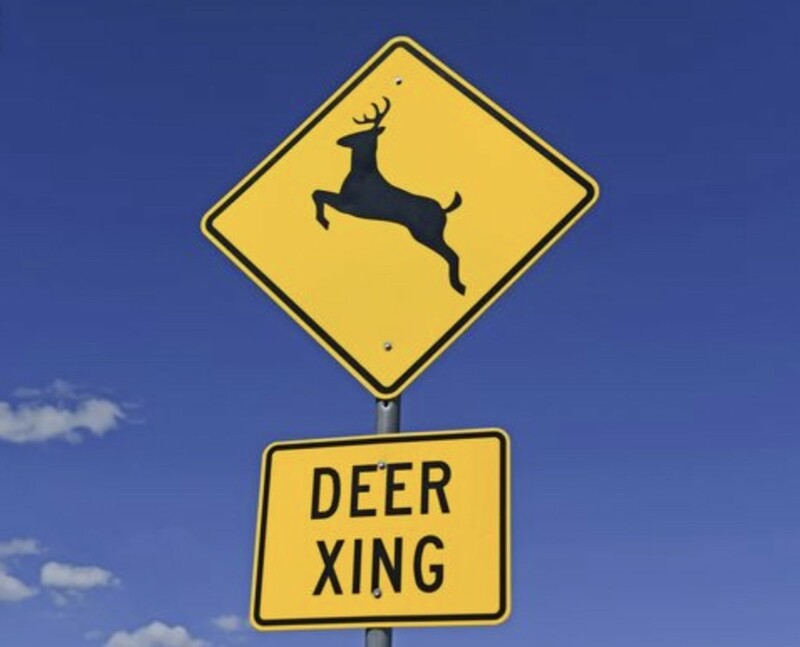 We used to laugh in the UK when we saw deer warning signs, as, in many years of driving, we have yet to spot any. Although I have friends who have been troubled by hitting smaller animals out in the countryside at night. Hi Vivian! You’re right, where you see one you’ll most likely see another unless its a lone buck. Honking your horn is a tricky one. One one hand honking your horn might scare a deer back into the brush, on the other it might startle it into jumping into your past. I’ve seen them stand right by the road and never move a muscle as you drive by and I’ve seen them run right into traffic after being spooked. Their response to stimuli really is hard to predict. Thanks so much for commenting. It’s always a pleasure hearing from you! Another word of warning, where you see one deer, there is at least one more nearby, usually more! Isn't honking your horn sporadically supposed to help too? Great idea for a topic!